Having a good credit grade is an essential element for making life easy. With a good credit rating, you can easily apply and get approval for loans, get better interest rates, receive efficient service from utility companies, even get better jobs. On the other hand, a bad credit history will only create obstacles for you and make life more difficult. Given this, it’s highly essential to work towards maintaining good credit or improving your credit score. How? Here are some tips that might help you maintain and improve your ratings. 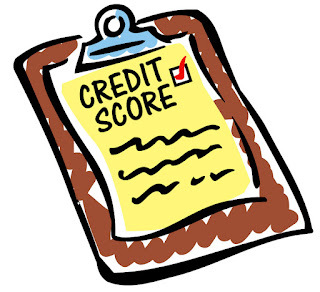 There are chances that information on your credit report might be incorrect or incomplete. Hence, it is desirable to check credit score on routine basis. * Inform the company, which is source of incorrect information. * Get another copy of the free copy of credit report. This is already provided if alterations are made. You can refer to the Federal Trade Commission for more details on the information to access free credit reports. Any individual can request for a free credit report every 12 months from each of three credit bureaus- Equifax, Experian and TransUnion. The credit file will house all your credit related transactions which you can review and study for corrections, if any. .
You should learn the elements present in your credit report, as understanding it will help you make better decisions when it comes to management of finances. Because a good credit score is based on a healthy credit report, maintaining good score means you can enhance your worthiness in the eyes of lenders. Your credit file includes the following information. * Number of loans and number owed by you. * It is good be selective when you shop for credit and pay great heed while applying for it as too many applications might lower down your score. * You should never exceed your credit limits. You should only consume 30 percent of the balance. * It is mandatory to regularly pay your debts. Apart from taking care of the above mentioned steps it is good to check credit score often. The check of the score is desired as fluctuation might caution you about the identity theft, inaccuracy or any update in your report. You can sign with one of the several sites that let you access your credit score. Joy is a financial expert that shares her knowledge of improving credit score & maintaining good credit report. Share your queries/comments & she will soon get back to you.